Shut-Off and Diverter Valves – Plast-O-Matic Valves, Inc. Variety of air operated, line pressure assisted, and manually operated shut-off valves in both diaphragm and globe styles. 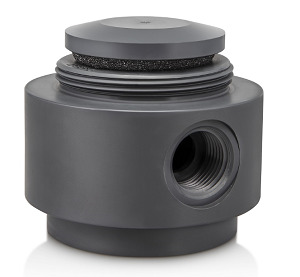 Air operated pinch valves and quick dump valves are also available, providing bubble-tight shut-off for applications requiring a specific type of valve. Available in compact and heavy duty designs. Options including fail-safe spring return, limit stops, visual indicator windows, and the patented Fail-Dry® early warning vent available; consult factory. 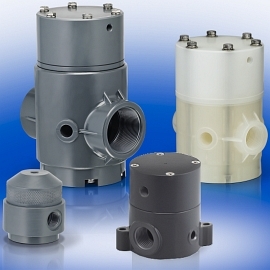 Series IDA Choice of double-acting air x air or normally-closed operation provides bubble-tight seal with up to 25î of water. Large flow area for ultra-fast drain — tested faster than any other quick dump. 4″ – 6″ sizes in various materials.